SIXTH ANNUAL AWARDS EVENT OF THE YEAR, California Wedding Day’s Best Of 2019 delivers the long-deserved recognition for the trailblazers in Southern California’s wedding industry from Los Angeles, Orange County, Ventura/Santa Barbara, San Luis Obispo and new this year, San Diego. Finalists were chosen by their peers through an open voting process held online at californiaweddingday.com. 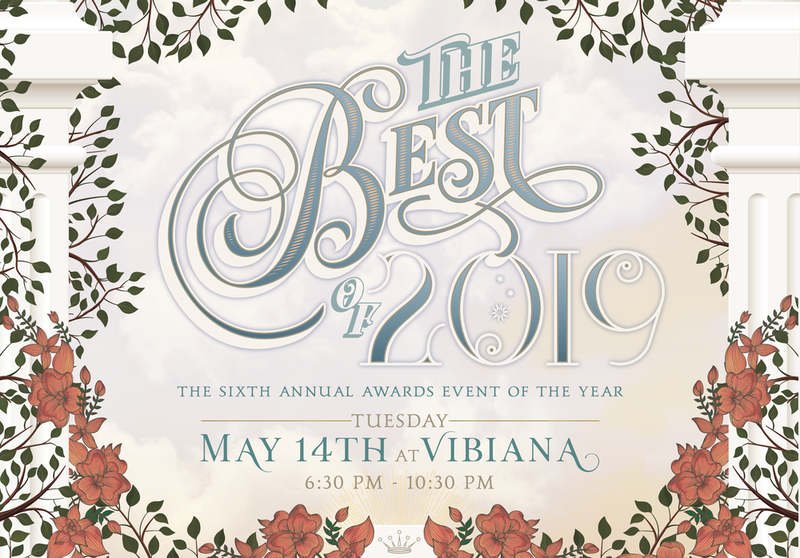 On May 14th at the historic Vibiana in Los Angeles the Best of 2019 winners will be announced in addition to being published in the Summer 2019 issue of California Wedding Day. With the industry's best in attendance, this is an event not to be missed! Check out the full list of Best of 2019 finalists here! Experience a celestial realm of trend-setting inspiration as our innovative and creative sponsors reach for the stars and find our roots in nature. Enjoy masterfully crafted hors d'oeuvres, artisanal cocktails and stellar entertainment as we live wildly by the sun and love eternally by the moon...be prepared for a magical experience as the awards ceremony unfolds! Tuesday, May 14th, 6:30 p.m. - 10:30 p.m. Early pricing for tickets ends on May 7th so be sure to get your tickets now!